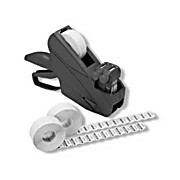 A system consisting of sterilization load labels and a printing applicator that applies the labels to packages and record forms of envelopes. Load labels preprinted with expires and with sterilized. A complete system for maintaining and storing sterilization process information for steam and EO sterilization. 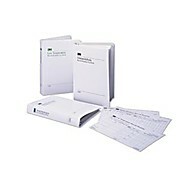 Includes load record cards, record forms and sheets, envelopes, and a record binder for storing results. A complete record keeping system that maintains your sterilization process information for steam and EO sterilization. 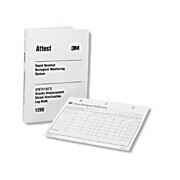 The system includes record charts and preprinted log books for each 3M Attest™ biological indicator product.